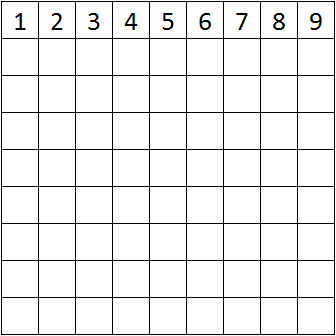 There exists a 9x9 grid with the cells in one single row numbered 1-9 in order. 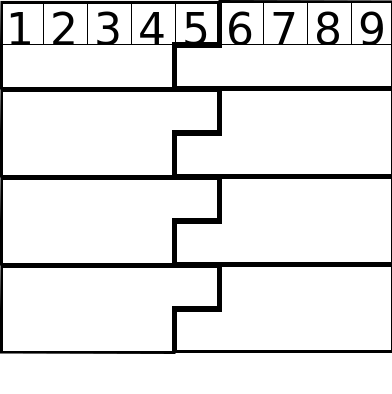 The cells in the other 8 rows are initially empty. Note: The cells initially containing numbers can be in any one row; not necessarily the first. The columns from left to right are numbered $1-9$ (as with the top row). Firstly, $B9$ must be $1$ since it is the last in its continuous region. Then, this forces $C8$ to be $1$ since none of the rest of row $B$ can contain $1$ nor can column $9$. Similarly, we find that going down diagonally to the left all the entries are $1$ down to $I2$. Now, look at $C9$. The entry here, $x$, must be the same as $D8$, since its continuous region has to contain $x$ but row $C$ and column $9$ already contain $x$. By a similar line of reasoning, we find, recursively, that the entries $E7$, $F6$, $G5$, $H4$ and $I3$ are all $x$ but of course cannot be $3,4,\ldots,9$ so $x=2$ and $B1$ must also be $2$. We can continue this line of reasoning, next starting at the entry in $D9$, calling this $y$ and proceeding diagonally left and down to find $y=3$. 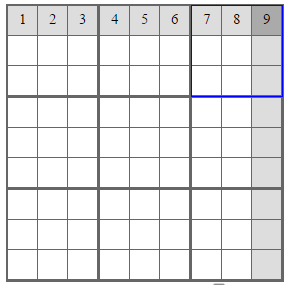 In this way, we can fill the entire grid, recursively always beginning at the topmost entry in column $9$. 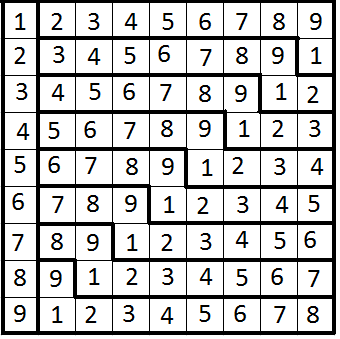 The Sudoku variation in question turns out to be called “Du-Sum-Oh,” along with some aliases, and cells 1–&hairsp;8 by themselves can force a unique solution without being given cell 9. Hexomino’s original answer1 revealed how delightful this puzzle is but I had forgotten the details months later when mentioning it to a fellow Sudoku enthusiast, so some variety ensued. 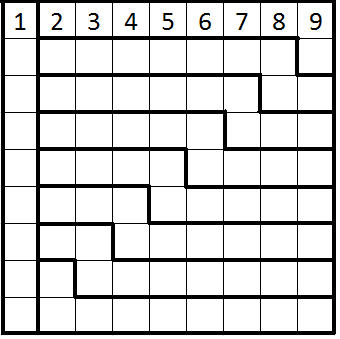 The layout on the left, with straightforward numbering, has a very sleek route to solution&hairsp;2 whereas the numbering on the right demonstrates that an irregular set of initial numbers can also force a unique solution and be amusing to solve&hairsp;3 if you’re in the mood. Progress came from starting with small boards while experimenting with simple zigzags and L shapes. 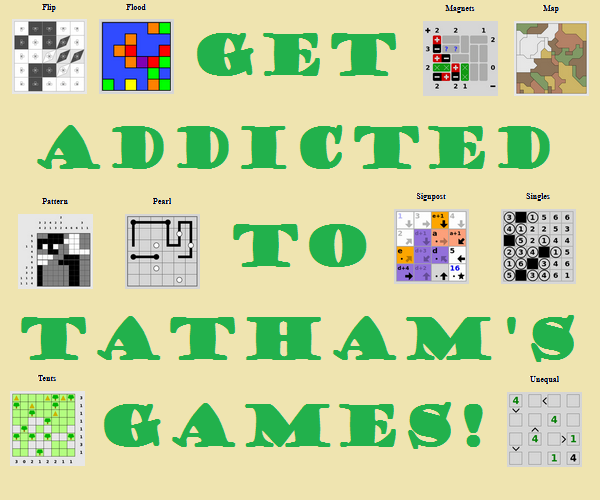 The 4×4 and 5×5 layouts along the way were misleadingly efficient&hairsp;4 and led to an unnecessarily awkward 9×9 layout. 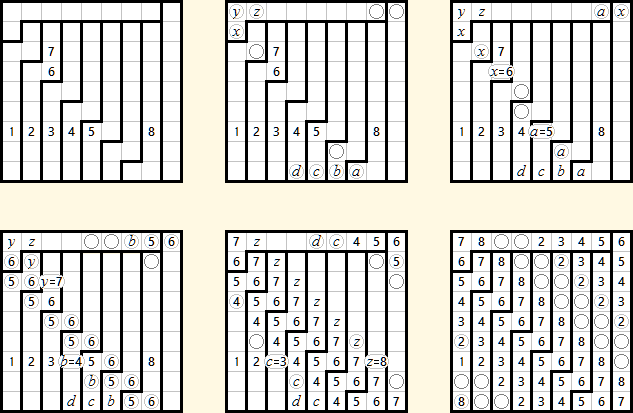 4 Solutions of the 4×4 layout in just two steps and of the 5×5 layout in four steps. Edit: Angel Koh came up with another solution to my layout, so it is non-unique. 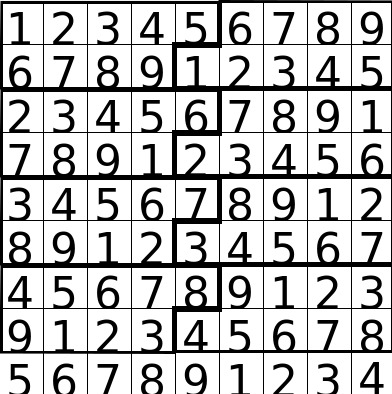 I believe to have a unique solution in regular sudoku you need at minimum: 1 number in each column, 1 number in each row, 1 number in each box, and every number from 1-9. But, you can cheat on 1 of these and for instance satisfy the remaining 3 clues but have a number in 8 boxes. Although I am not sure how to prove it.